Richie Whitt's DFW Sportatorium: Still Without A Big Fish, Mavs Continue To Throw Their Hook ... Where? Still Without A Big Fish, Mavs Continue To Throw Their Hook ... Where? What first was teasing, has deteriorated into torture. It was just two summers ago that the Dallas Mavericks held a championship parade through our downtown streets. Then, before the champagne had stopped stinging our eyes, the trophy-winning roster was kaput. Tyson Chandler and J.J. Barea and DeShawn Stevenson, each allowed to leave via free agency. But all with a promise: The salary-cap flexibility - "Dry powder!" - would pay big-fish dividends in the near future. Chris Paul? Deron Williams? 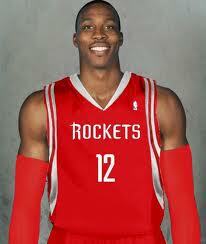 Dwight Howard? Heck, maybe two of 'em?! That was the trade-off. The reason we simply re-watched the DVD of the '11 season during the playoff sweep to the Oklahoma City Thunder in '12, and why we feigned interest in shaving beards and .500 records instead of focusing on missing the playoffs under the mediocrity of has-beens like Vince Carter and Elton Brand and not-yets like Darren Collison and O.J. Mayo in '13. But now, Paul is a Los Angeles Clipper, Williams is a Brooklyn Net and Howard - as of Friday afternoon - is a Houston Rocket. Yep, that's oh-for-three. Tweeted Mavs owner Mark Cuban on Saturday: Time to get back to work. The Mavs are back open for business. Is it just me, or is he beginning to sound like the billionaire boy crying wolf? Cuban is a genius on several levels. And he'll always have a special place in our sports hearts for delivering the Mavs' first championship - and, for that matter, the Metroplex's only title since 1999. He helped engineer the acquisitions of Jason Terry, Jason Kidd and Chandler, propelling Dallas to its '11 run. Nothing he can do to tarnish that legacy. But, let's face it, Cuban inherited Dirk Nowitzki. He let Steve Nash walk. He opened the door for Chandler's premature exit. And he swung and missed on the top free agents the last two summers: Williams and Howard. Wrote Cuban in an email to several local media outlets Saturday, "We gave it a shot and it didn't work out. It was truly an experience. So it's on to Plan B." Andrew Bynum? Ultra-talented at 25, but missed the entire season with problematic knees. Jermaine O'Neal? Wait, that's the wrong O'Neal. In the wrong decade. At least the Mavs have addressed, and hopefully fixed, one position. Desperate for a solid point guard after a failed season watching Darren Collison, Derek Fisher and Mike James, the Mavs drafted a Hurricane (Shane Larkin) and have signed an Israeli (Gal Mekel), an NBA veteran (Jose Calderon) and a familar face (Devin Harris). But as of this minute Dirk Nowitzki remains the Mavs' No. 1 player. Much as I love him, we all witnessed last season. He's on the downside. At this point he needs to be Tonto, not The Lone Ranger. No denying it. Fans - who feels as though the championship was 20 years ago instead of two - are becoming disillusioned. The '11 roster brought back in '12 might not have won another title. 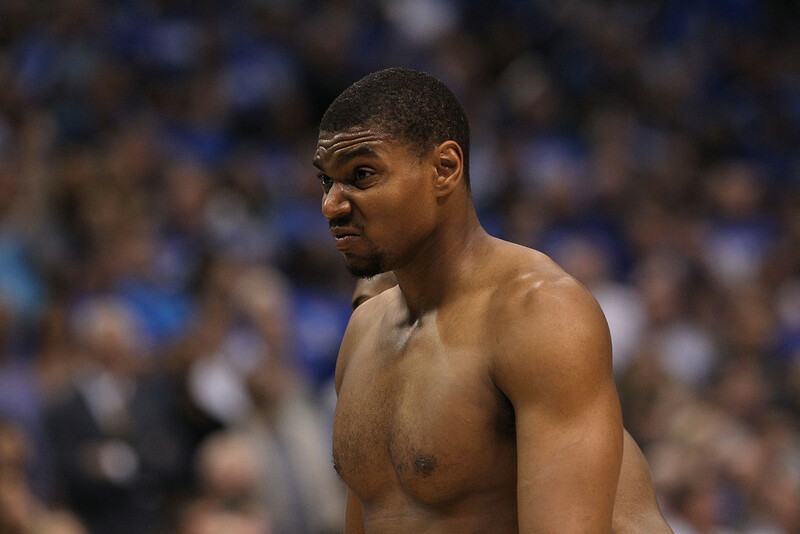 It might have hindered the Mavs' financially. But, seriously, could it have been worse than this? Cuban is 0-2, Chris Paul doesn't count since he stayed with the Clippers and never sat down with the mavs to discuss the possibility of coming to Dallas. Cuban has over thought the new CBA. Free agent Players don't care about "dry powder" they only care about the upcoming season and the possibility of winning a title "This" season. They just want to know what other "shiny" objects (players) they get to play with now and not 1 or 2 yrs from now. How about Gortat, Asik, Pekovic? Any of them attainable? "Could it have been worse than this?" Well yes considering the Lakers just signed Kris Kaman. Cuban bought the Mavericks in 2000. They then proceeded to win 50 plus games for 11 years in a row. In those 11 years they made the Conference finals 5 times, made the finals twice and won a Championship. Winning 50 games for 11 straight years and always being over the cap, it's hard to attract a name free agent when you never have cap room. You might want to cut the Mavs a bit of slack and wait until we see this season for announcing how fucked they are? Just saying. I just know what we were sold, and the big fish has yet to be hooked and - alas - there are no big fish to be hooked. Is the Kaman signing official? like the past decade of hockey has been around here. Donnie seems like a real nice guy, but I have to agree with this. The Mavs' drafting has been atrocious. When's the last good pick we've had? Josh Howard? 10 years ago or whenever that was? I thought Donnie was supposed to be a wiz with international scouting? He and his dad were responsible for bringing Dirk here, but there's been no success since. And on top of that it seems no impact free agent wants to sign here and haven't ever historically. Cuban should have been at the Deron Williams sales pitch and him not being there may have cost signing him, but Donnie has to get better results from the draft and bringing guys in here. No denying the Mavs' draft have lacked behind teams like the Spurs, who have found players drafting in similarly low positions. Wrote about it on this blog day of the draft. I don't understand how Donnie Nelson has kept his job for this long. His draft picks have been awful. Quit looking for that European Diamond in the rough and just get players that can play now. Why wait for players to develop, when you can get one with a low ceiling that can play now. Forever on his resume: I Found Dirk. Buys lots of cred and lots of time.